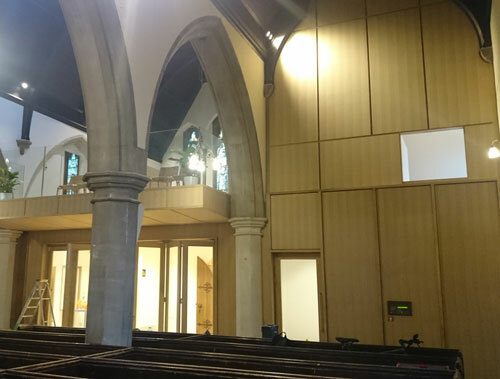 Read Veneers has recently had the pleasure of working with renowned construction and joinery experts Bryen & Langley Ltd of Eltham, South East London, on a very special project involving the restoration of a beautiful church in the heart of West London. 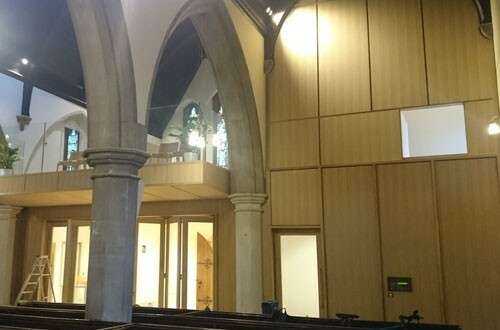 Christ Church Kensington has been undergoing a major restoration and regeneration project courtesy of a fervent community appeal since 2014 to ensure it can continue to serve the local community for generations to come. A magnificent Gothic Revival church built in 1850, Christ Church Kensington incorporates designs by Royal Gold Medal award winning English architect Benjamin Ferrey (1810-1880). The restoration has been all-embracing. 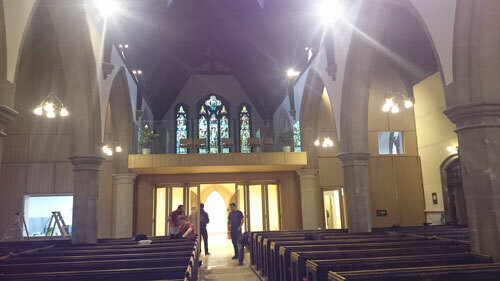 The project is ongoing and, aside from a new roof and works to restore the intricate stonework, the church organ and the glorious stained glass window, it has involved the extensive replacement of internal wood panelling and doorways, including the panelling around Ferrey’s West End Balcony, allowing his original design to be lovingly recreated. 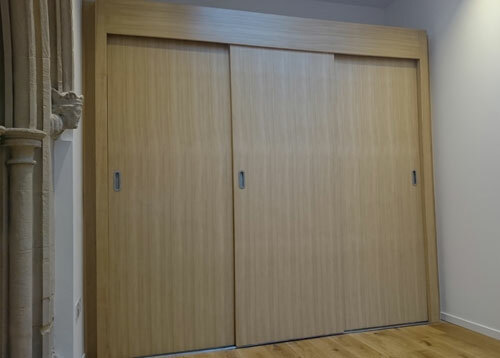 Read Veneers were contracted as a trusted supplier to Bryen and Langley to craft the veneered panels for the interior church walls and West End Balcony, together with a range of matching bespoke veneered doors, including the set of strikingly matched sliding doors (pictured). 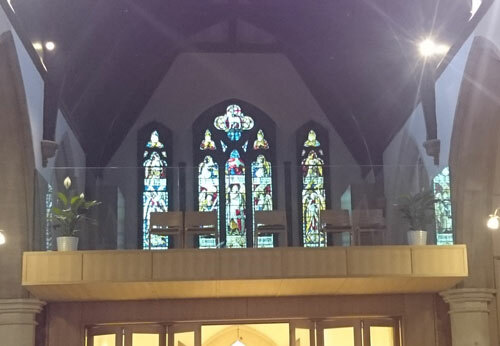 If you’d like to support the Christ Church Kensington Community Appeal you can find out more by visiting their dedicated appeal website.